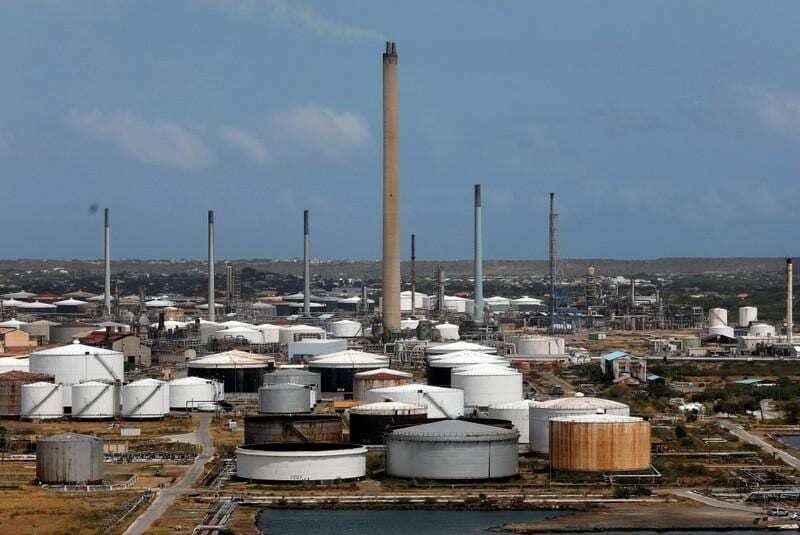 (Reuters) - Venezuela's state-run energy company, PDVSA, kept oil exports near 1 million barrels per day in March despite U.S. sanctions and power outages that crippled its main export terminal, according to PDVSA documents and Refinitiv Eikon data. The United States and many Western governments have recognised Venezuelan opposition leader Juan Guaido as the country's rightful leader. Guaido in January invoked the constitution to assume an interim presidency on the grounds that Maduro's 2018 re-election was illegitimate. March's exports of 980,355 barrels per day (bpd) of crude and fuel were only slightly below February's shipments of 990,215 bpd, according to the documents seen by Reuters and the Refinitiv Eikon data. "(We will) continue to take action to ensure Venezuela's energy resources are preserved for the legitimate government of interim president Juan Guaido, for the people of Venezuela, and the reconstruction of a country destroyed through mismanagement and corruption," a senior U.S. administration official told Reuters on Tuesday. Venezuela's oil production once surpassed 3 million bpd, but years of what critics say is mismanagement and corruption have caused that output to dwindle. The reduction in oil revenue has led the once-prosperous nation into recession and created conditions for hyperinflation. Millions have fled the country and many who remain cannot afford food or basic goods. Rosneft has increased its share of Venezuelan oil shipments since the sanctions, mainly for reselling to refiners. Venezuela's oil minister, Manuel Quevedo, last month travelled to Moscow to negotiate larger sales of Venezuelan oil to Russian companies. Rosneft has also boosted fuel supplies to Venezuela, according to the data. Venezuela imported 184,500 bpd of fuel last month, with the largest portion provided by the Russian company, followed by cargoes sent by Reliance and Spain's Repsol.